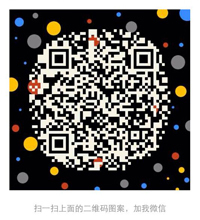 manufacturer engaged in aluminum circle blanking punch stamping. 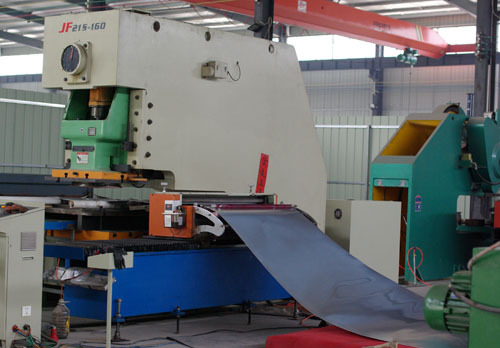 We use full-automatic aluminum sheet circle blanking line, with high efficient and lower machining cost advantages. Full-Automatic aluminum circle blanking line. 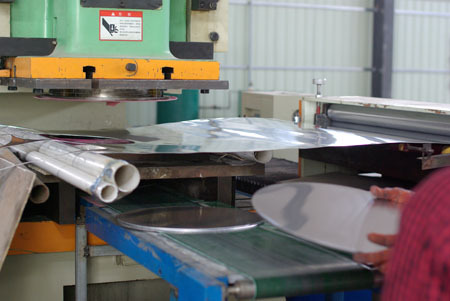 Stamp and blank aluminum circle plate directly from the aluminum coil, don’t need cutting and striping process, this equipment can choose best layout according to the width of the aluminum coil and the aluminum circle diameter, blanking machining same time when plate unrolling leveling. The material utilization is over 80%, far and away better than other machining types. Each size of aluminum circle need one press mould, we have developed multiple mould for customer to choose. 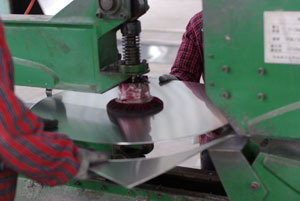 This production line can get Clean surface and smooth edge,almost each circle are perfect. 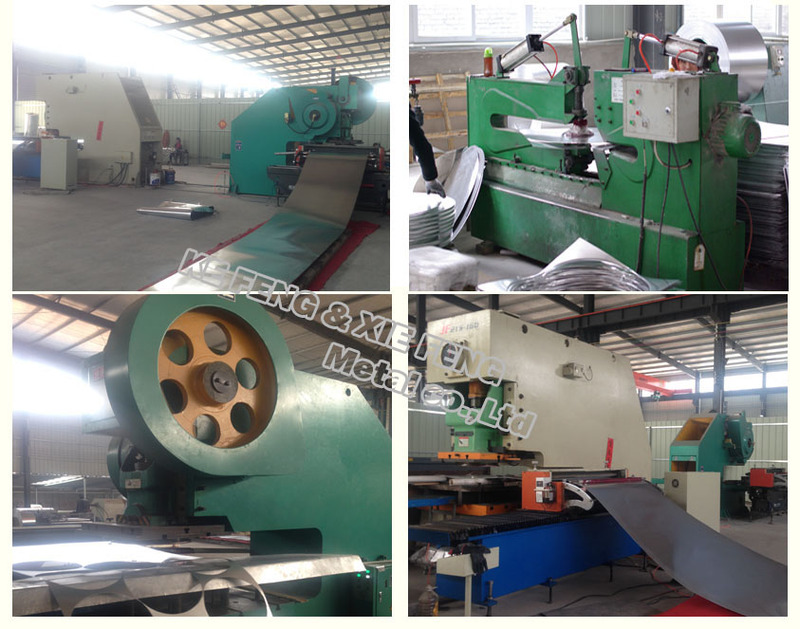 Hot rolled quality or cold rolled quality of aluminum strip will be sent by conveyor to the Punching machine which gets punching head with different mold to produce various kinds diameter circles as customer’s requirement. 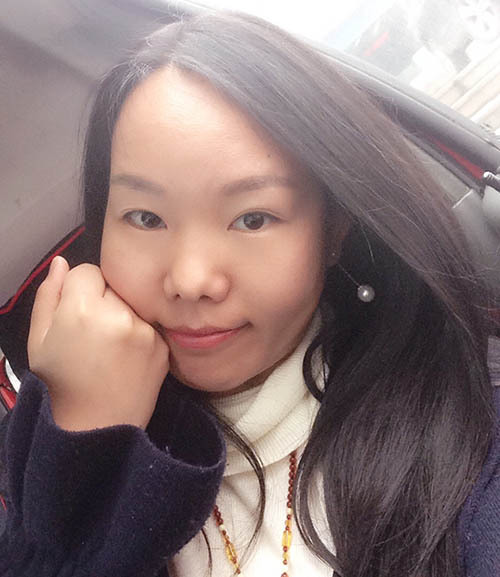 if you want to visit our factory, please don't hesitate to contact with us. Cutting machine production line for special diameter. Cutting machine production line work for special diameter and small batch. This production line don't need modle, can machine any diameter according to cutomer's requirement. with flexible working properties. 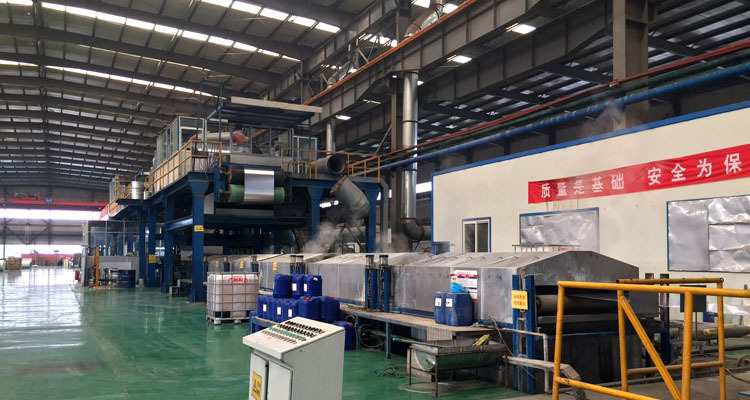 But this aluminum sheet circle producting line need workers work around the machine, not like the automatic blanking line. So only if the demand quantity is special and small, we can make and supply customer with this production line, welcome customers coming and visit. 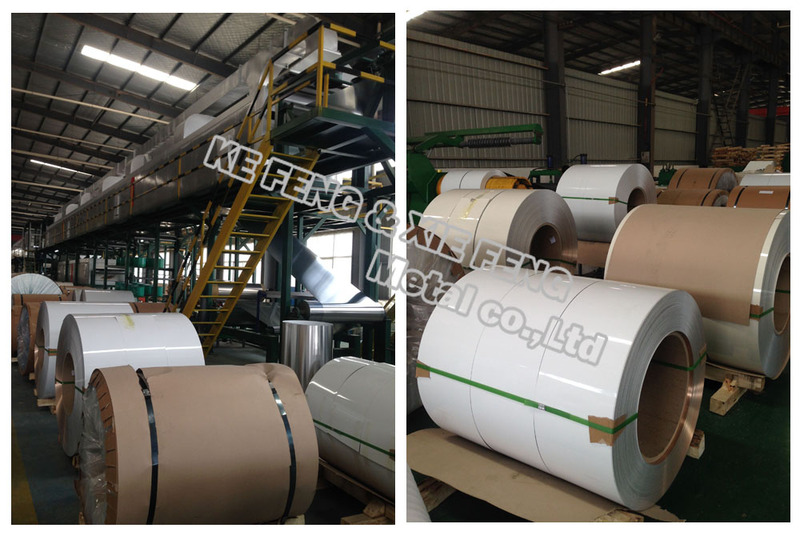 Production line for Aluminium colour coated coil. 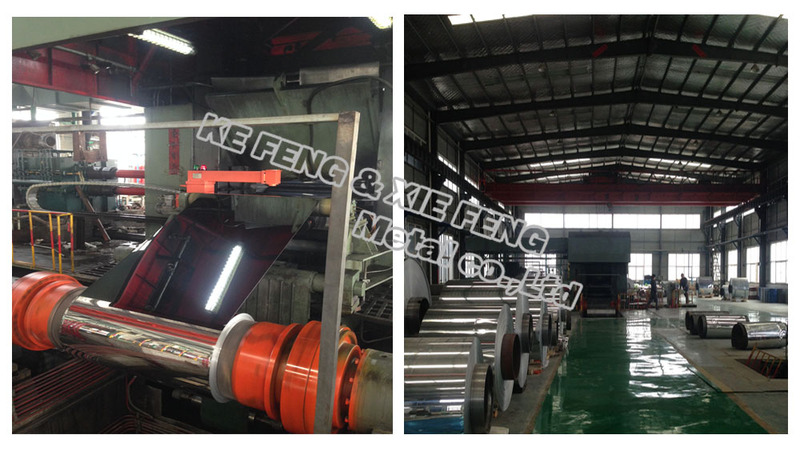 High Flective aluminium coil, sheet production line.